Making Friends and Money as she goes! I print the entire link contents for your benefit. “China’s Shanghai Zendai Property on Tuesday launched the first phase of an R87 billion ($6.4 billion) new city project in South Africa, saying the slowdown in the world’s second-largest economy would not affect construction. The local unit of the Hong Kong-listed firm said it had completed some luxury accommodation units at a cost of R400 million, bringing investment on the project near the commercial capital of Johannesburg to R1.4 billion. 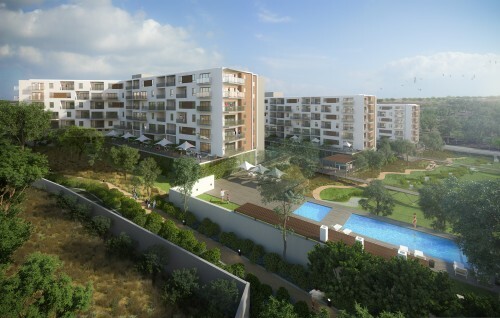 The homes are part of the planned 1,600 hectare “Modderfontein New City” that will include offices, a light industry park, housing for 100,000 people, schools and entertainment centres. It is expected to take at least 15 years to complete. China is headed for its slowest growth in 25 years this year and its markets have tumbled in the last few months, giving global markets a scare. The whole development is expected to create 23,000 jobs upon completion and contribute R4 billion annually in taxes, Diepenbroek said. While Chinese companies have been building roads and infrastructure across sub-Saharan Africa for years, Shanghai Zendai’s project is the largest real estate deal by a Chinese firm in Africa’s most sophisticated economy. It is described as an international residential community and may attract some of the Chinese nationals in South Africa, of which are there are around 300,000.